for art. Paintings, sculpture, drawings... I love it all. I do have a preference for antiquities especially Old Kingdom Egyptian bronze. I like large pieces both paintings and sculpture. Although my art acquisitions are overwhelmingly subjective, I consider them a long-term investment for not only my retirement but also as heirlooms to pass down through the generations. Aside from the investment potential, art can be a great hedge against market volatility. Below is an interview with investor Mark Ford, in which he discusses why he likes art as an investment. 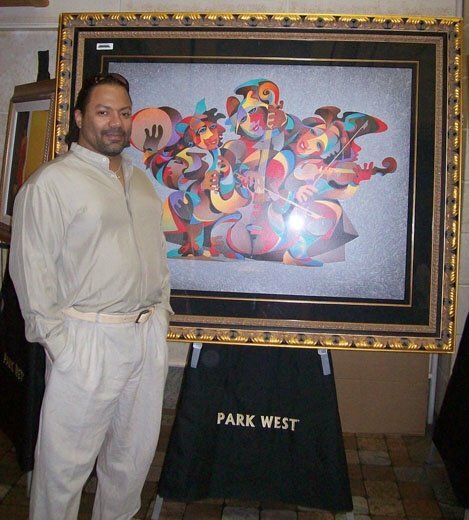 You can also checkout my Featured Interview with millionaire art collector Kevin Pugh. Kevin has been collecting for about two decades and he shares his insightful strategy towards building a collection that will appreciate over time. Millionaire investor Mark Ford, is the classic American tale of work hard and educate yourself about your finances and you will achieve success. Mark tackles the seemingly complex world of investing with a common sense approach. Like many self-made people, Mark had humble beginnings and learned how to elevate himself out of the pitfalls of debt and financial mismanagement. Today he enjoys a lavish lifestyle at his Palm Beach mansion and has a net worth of $150 million. Tom: Let's talk about art. You've mentioned many times what a great investment it has been for you. Mark: Are you sure that's a door you want to open, Tom? I can talk forever about art collecting. Tom: Yes, let's hear it. I'm interested to know why art collecting? Why not cars, or antique dollhouses or something? Mark: Fine art, paintings, drawings, and sculpture has always held a special place in my heart, so it was a natural choice for me. My art collection has enriched me in three ways: Buying it is a lot of fun, especially when you know you are buying it right. Owning it is a great pleasure. It enriches your life every time you look at it, and it tells your friends and people something important about you. Thirdly, it can make you richer. My art collection, as a whole, has appreciated more than a million dollars. I wouldn't care if it didn't. I'd be happy if it simply maintained its value. But I made investing in art a hobby, and it paid off. Fine art, like a number of other historically recognized collectibles, has a lot of the qualities you want in an investment: It's a tangible asset, so it tends to appreciate during inflationary times. It's portable, which is a very good thing in case you might want to disappear one day. It's also private and by that I mean that you don't have to report your transactions to the government. And finally, if you buy the right art it can appreciate sometimes a great deal. Tom: So what does a novice need to know before collecting? Mark: The novice needs to know that, from a wealth-building perspective, there are different kinds of art. First, you have what I call "decorator art." These are pieces of art that simply fill a given space with color and texture, but will never appreciate. This is the kind of art you see in Las Vegas hotel lobbies and Caribbean resorts. "Decorator art" is a waste of time and money. Commercial art is what you find in galleries. However, the quality of this art can vary widely...it all comes down to the dealer and his expertise. While it's true that some dealers peddle that "decorator art" I was talking about, there are also some fine art commercial galleries that cater to local artists, graduate students, the talented Sunday dauber, as well as fine art by recognized talent. Priced right, these artworks make a very good starting point for the fledgling collector. Those small local galleries I was talking about is where you want to go when starting your collection. You can find oils, pastels, and drawings that are worth a few hundred dollars. Buying pieces like that is a good way to train your eye. Investment-grade art is different. It hangs in major museums. The artist is already in the art books. He's already a serious figure. His art isn't going to disappear. Nor will its value. It might fluctuate, as all investments do, but the long-term trend is good, and you can be confident that over the long run it will maintain or increase its value. When buying art for investment purposes, collectors need to understand that appreciation happens over a substantial period of time. Unless an artist dies or is the subject of a 60 Minutes interview, collectors will cool their heels for a while before selling for a profit. However, studies show that high quality, investment-grade art is one of the top performers in terms of long-term return on investing. Tom: Okay, so how does someone begin? Mark: There are two methods. If you are new to art and aren't sure what you like, you can begin by buying inexpensive art. I'm not talking about decorative art. It won't teach you anything. I'm talking about art that you might find at small galleries, local art shows, or antique shops. Buy the stuff you like, but don't spend any more than a few hundred dollars on any individual acquisition. As your taste improves and it will improve, you may find that much of what you once admired is not so wonderful anymore. When that happens, you can sell it (for whatever you can) or give it away. Ask questions of the dealer every time you buy art. If you meet the artist and like him, make friends. Gradually, your circle of contacts will improve and so will your eye. Eventually you will feel ready to venture into investment-grade art. Tom: Sounds like a relatively slow process. Is there a better way? Mark: Yes. You can begin with investment-grade art, but you have to do your homework and be patient. Start by trying to figure out what genres of art you like. Do you like landscapes? Do you like abstract art? Do you like portraits? Sculpture? It doesn't matter. Don't let someone talk you into, say, abstraction, if you prefer portraits. Art and collecting are life-enhancing endeavors, first and foremost. There is investment-grade art of every kind. The collector needs to figure out his personal tastes before acquiring. That is why museum visits, gallery openings, etc., are so important. Find what type of art appeals to you. Then figure out what artists you like within that genre. Try to limit your interest to two or three artists to begin with. Study the price history of those artists. Find out what their pieces have sold for in auction in the past. Find out what they are selling for currently. Try to become an expert in their work as quickly as you can. You don't need to take any art appreciation courses. Just read books about the artists and the genres you like. You should also visit museums whenever you can and study the work of your preferred artists. When you have studied a thousand paintings, you will have developed your eye. You will know what you like. And more importantly, you will have a sense for quality. You don't want to start off spending lots of money. This can lead to costly mistakes. Begin by buying inexpensive pieces such as sketches from major artists (expect to pay $1,500 and upwards) and gouaches and paintings of second-tier investment-grade artists ($2,500 to $7,500). This sort of buying will keep your risk relatively low, so if and when you do make the occasional mistake (like buying a fake or overpaying for a piece), it won't break you. When I first got started, one of the things I got involved with was a school of art called CoBrA. CoBrA is an acronym for Copenhagen, Brussels, and Amsterdam. It was a period of art that officially took place from 1948-1952. It had a total of 10 or 12 artists in it, of which there were three major artists: Appel, Corneille, and Jorn. All of these artists hang in the major museums in the world. I knew their art would never be worthless. This was a good group to begin with because it was small. It took place over a small period of time, it comprised a small number of artists, and each of them was recognizably different. In other words, it was easy to study. So I began by collecting these three artists. I bought sketches and crayon pieces at first because they were cheap, and afterwards I sold some of them at a profit and "traded up." Eventually, I was able to purchase a very nice collection of good pieces that have appreciated over 300%. Tom: Okay, so let's say I've done all that. I've picked my genre and my artists, I've spent months pouring over paintings and visiting museums. When I'm ready to buy, how do I know what's a fair price, or how to value a piece of art? Mark: That's actually easy. But you have to ignore what the pundits say. Art pundits say that valuing art is impossible because it's subjective. That is true in terms of the pleasure you get from art but it is not true of the investment value of art. From an economic perspective, art is valued by the marketplace, just as stocks are. An artist's work is valuable because important critics at some point decided it was good. Because of that, it went to the big museums. It got into books. It is taught in art courses. And when it goes to auction, people bid it up. Once there's a ten or twenty-year market for a particular artist, the value of his art is unlikely to collapse. By that time, so many people, museums, brokers, and wealthy collectors are invested in it. None of them, if they can help it, will allow it to collapse. Who is ever going to say that Rembrandt wasn't a great artist? Or that his paintings aren't worth millions of dollars? Nobody. That doesn't mean he was the best Dutch painter of his time. If you look at paintings by his contemporaries you might think that some of the other Dutch masters (or even a few of the minors) were just as good. But Rembrandt's values will hold. Why are his paintings worth a hundred times more than another one that is technically just as good? Because history has decided it should be so. Art critics, experts, people who dedicated their lives to studying art, have decided. The marketplace has put a value on it, and that's what makes it more valuable. When you're collecting art, you're collecting the history of what art critics have decided. You might disagree with them on an aesthetic basis, but you'd be foolish to disagree with them with your money. My point is that the value of art, from an investment point of view, is not subjective at all. It is objective. More objective and easier to predict, in fact, than stocks. Tom: Are there differences in value for the same artist? Mark: Yes. First of all, there is almost always a range of values according to medium. You know, paintings versus sculpture versus watercolors versus pencil drawings. As a general rule, you will pay more for an oil painting than you will for a pastel, and you'll pay more for a pastel than you will for a drawing. But there is one notable exception. A medium that an artist is "known for" will always demand the highest price. For instance, the artist Andrew Wyeth is known for his watercolors. Those will get the top pricing. But if you know your artist you will know this. The other factor that comes into play is size. As a general rule, the larger the piece, the more expensive it will be. A third thing is period. Most museum-level artists are best known for certain periods. Their works that were composed during those periods are therefore considered more valuable. Finally, there is image. Certain artists are best known for certain images. Andre Derain's "best" images, for example, are somewhat abstract. When he got older, he reverted to a more representational style. These pieces are beautiful! I have one. But they will not fetch the prices that his abstract works do. One last thing, it is better to buy a top-quality, wholly representative work by a second-tier artist than an uncharacteristic piece by a major "name." So many collectors get wooed by names and prestige. But nobody wants a painting of a barn by Jackson Pollack. They want his "splatter" work. Tom: Seems like a lot to know. Mark: Not really. There are about half a dozen good websites that track auction prices of investment-grade artists. All of these will give you the key elements: the image, the medium, the size, and the year. You can study them and learn them very quickly. Tom: So, when I'm looking at an artist's body of work, how do I know what to buy? Mark: In collecting in general, you always want to buy the best you can afford. If you are very rich, you should buy large paintings or sculptures with the right image, painted at the right period. The best of the best is going to appreciate the most. For example, if you were buying a Karel Appel, you'd want to buy a colorful abstraction in oil of a figure that is dated in the 1950s or the early 1960s. Tom: Okay, so now that I know what to buy, where do I go to actually buy it? Do I have to participate in some kind of auction or do I pay a broker to get it for me, or do I go to a store and just pull out my checkbook? Mark: There are several places you can go: galleries, auctions, and private owners. Galleries will sell you their products at retail, which means they will charge you 50% to 100% more than what they paid. As an investor, you can't afford to pay that kind of premium. But sometimes galleries buy cheap and don't insist on such big margins. If you know what you should be paying (by educating yourself) then you can negotiate. Auctions charge a premium, too. Usually it's 10% to the seller and another 10% to the buyer. That's not a trifling amount, but it can work if the piece sold is sold at a price that is considerably under its retail value. This happens all the time at auctions. Again, you just need to know the right price to pay and don't bid above that. The best venue is a private sale. I've just bought a few great pieces from a private collector who ran into financial difficulty and wanted to raise money fast. By buying privately, you can sometimes get paintings at rock bottom prices and with no commissions. Again, it's critical to know the right price. On a side note: it is remarkable how many collectors pass by antique shops and estate sales. This is an environment outside the gallery scene or auction house that may house bargains and sleepers. That grimy oil landscape (which can be cleaned) could be a hidden gem. I came across many items in my collection this way. When buying investment-grade art, be cautious. There are lots of forgeries in the market, especially of popular artists like Salvador Dali and Wilfredo Lam. You can't protect yourself from this problem by buying only pieces that have good sales records. Buy from reputable dealers and auctioneers. Ask for a complete provenance. And you can always have the work looked at by an expert if you have any doubts. Tom: Do you have anyone you can recommend? Mark: For matters like that, I go to my friend Roger Hurlbert. This guy knows everything about art. He has been an art history professor for over thirty years and wrote a fine arts column for The Sun Sentinel for twenty years. He has also been an art collector and a buyer for clients for decades. He has literally attended hundreds of exhibitions, met and interviewed tons of artists, and personally dealt with more dealers and gallery owners than anyone I can think of. In fact, we should publish his contact information in this piece. Tom: Ok, we will. Well, thanks Mark. We'll see you next week. that gallery owners are in the business of selling. They will be high on their wares no matter what. one now" pitch! That sort of stuff. No one can predict an artist's market. the multitude of galleries both old and new, big and small. value. So maybe there isn't the sense of immediate gratification. Patience is a collecting virtue. watching, watch that artist. And, if you like the work, consider buying it. painting to the hues in the couch cushions, call your decorator. emotionally. All collectors, whether or not they recognize it, desire satisfaction in a work of art. Something outwardly bogus will never deliver. 10. Don't consider becoming an art collector if any of the previous "do's and don'ts" make little sense. There are always baseball cards, Beanie Babies, and vintage wines to collect. Roger Hurlburt is an art historian, fine arts critic, and acquisition consultant. If you would like to contact him, you may call him at (561) 251-9860 or email him at rhurlburt2@bellsouth.net. I have been trying to unravel this most confusing and complex investment strategy for years and I finally did. This "Income for Life" is a unique savings strategy that uses one of the oldest, most tried-and-true products in existence; whole life insurance. If structured in a specific way that few insurance agents even know about, we can grow our money up to 5% per year tax free, even if the stock market crashes 50% next year. Plus, we have the added peace of mind knowing that our money is with the most conservative investment managers on the planet. This super-safe "off the IRS grid" account can't go down in value, has paid uninterrupted dividends for over 100 years, and currently earns five times more than your bank savings account and CDs. Over the past 10 years, I’ve examined almost every type of safe income investment in existence. So I must admit, when I discovered a secret investment account used by more than 4,000 banks, I was a little shocked. That’s why top bankers and Fortune 500 executives in the know have quietly been taking advantage of opportunities like these for years now… safely earning generous yields on their money—5.5% on average—while everyone else has been stuck chasing low-paying CDs, bonds, and dividends. (Tax-free returns of 5% may not sound like much, but if you’re in a 35% tax bracket, that’s the equivalent of earning close to 8% in your regular taxable brokerage account). We’ve coined a term for this strategy, “Income for Life.” Today, my wife and I have more than 20% of our total net worth allocated to the Income for Life strategy and we’re still adding money to it. We have made it the foundation of our retirement strategy. I’ve even opened up accounts for each of my three children, and because of this decision, they’ll now be financially set for life. (My oldest son, for example, will have about $4 million in his account by the time he retires). Today, I’m going to share with you everything I know about this strategy... and explain how you can set it up for yourself. With this strategy, there is virtually no risk of principal loss. Like a bank account, your money will never go down in value. We’re putting our money into a special type of dividend-paying company. You’ve probably never heard of these companies, even though they’re among the oldest in America. Most financial professionals haven’t heard of them, either. I made a list of 35 of these special companies doing business in America today. The oldest company on the list is 177 years old. The average age of these companies is 106 years. Nineteen of them have been in business for more than a century. These companies are rare. No one has formed one in a very long time (worldwide), and no new ones are likely to ever be formed again. These companies do NOT trade on the stock market. Their values don’t fluctuate like traded stocks. They don’t use debt. Acquiring one of these companies is illegal. This is why Wall Street has no business with these companies. And it’s why you’ve probably never heard of them. And, of course, they generate tons of cash, and they pay large dividends to their owners every year. The companies I’m describing are a special breed of life insurance company. Now, I know what you’re thinking. Most financial gurus say life insurance is a bad place for your money but please bear with me. What we discovered are not your run-of-the-mill insurance companies. I’ll explain why they’re different from regular life insurance companies in a moment. In fact, these companies behave much more like savings or investment accounts than insurance companies. However, the government restricts the advertising these companies can use. Okay, so first let me explain why life insurance is such a great industry for safety-conscious investors... Life insurance is one of the oldest financial products in existence. The sale of life insurance in the U.S. began in the late 1760s. Life insurance has proven itself through two world wars, a revolution, a civil war, the Great Depression, and numerous other recessions. There hasn’t been a single life insurance contract default in the last 300 years in America. Can you think of any other product that has proved itself like this? Popular investment products today include mutual funds, ETFs, 401(k)s, and IRAs. None of these products have been around longer than a few decades. Life insurance is a recession-proof business. People need it regardless of what’s going on in the economy. It’s also a mathematical business, like running a casino, but with even better odds. As long as you price your risk correctly and you don’t do anything stupid with the premiums you collect, you won’t lose money over the long term. Of all of the different types of insurance companies, life insurance companies are the safest. Consider common insurable events, such as fires, earthquakes, hurricanes. They’re rare, so scientists have fewer examples to study. The damage claims can be astronomical. And you can’t predict when these types of events will occur. Now consider life insurance. A person’s death is certain. Life expectancy is predictable for large groups. There’s plenty of data. And the insurance company knows what the payout for death claims will be. Demand for life insurance never changes. Even in a Great Depression or an economic boom. This industry doesn’t have a business cycle. Statistics drive profits in this industry. As long as their equations are accurate—which they are, because they’ve been using them successfully for decades—they make predictable profits. Insurance companies hire data-crunching experts called “actuaries.” Actuaries study this data. Then they create life insurance policies for the insurance company’s customers. As long as the actuaries do their jobs and the insurance company has enough customers, you can virtually guarantee it’ll be profitable. During the Great Depression, more than 9,000 banks went bankrupt. According to a hearing of the Temporary National Economic Committee in 1940, only 2% of the total assets of all life insurance companies in the U.S. became impaired during the Great Depression from 1929 to 1938. Because the life insurance industry was so strong, it played a big part in keeping the country afloat and helping many troubled businesses get back on their feet. One example is department store mogul James Cash Penney. The great stock market crash of 1929 almost wiped out J.C. Penney. He was able to borrow funds from his life insurance company against his policy to keep his small department store chain in business through the Depression. Today, JCPenney has 1,000 stores and is worth $3.4 billion. The same pattern appeared after the stock market crash of 2008-2009. We examined several of the safest insurance companies and found that less than 1% of their investments were listed as “nonperforming” during the financial crisis. Not only did the recent financial crisis not affect these insurance companies, but they also continued their century-long track records of paying dividends. If I had to bet on a group of companies being around 100 years from now, I’d choose these. But, as anyone who invested in MetLife stock knows, not all insurance companies are equal. MetLife’s stock crashed 80% between 2008 and 2009. For our Income for Life strategy, we’re interested in only a tiny, much safer subset of the life insurance industry. There are two types of life insurance companies: stock life insurance companies and mutual life insurance companies. Stock life insurance companies are life insurance companies that trade on the stock market. They issue stock, and they trade like any other public companies. Hartford, MetLife, and Prudential are all examples of stock life insurance companies. So are American National Insurance Company, Kansas City Life Insurance, and National Western Life Insurance. Mutual life insurance companies do not trade on the stock market. They don’t have shares, and you can’t buy into them through the stock market. They’re like credit unions, except the policyholder is an owner in the insurance company. Mutual life insurance companies are much safer than their “stock-issuing” cousins. For one thing, because mutual companies have no shareholders, Wall Street analysts and money managers cannot pressure management to make short-term decisions. The companies are free to pursue long-term strategies. As a result, these corporations are known to be among the most conservatively managed companies in the world. Stock life insurance companies have millions of shareholders. Many of these shareholders are powerful money managers. They want higher returns on their investments. It encourages the management of stock life insurance companies to take risks. Mutual life insurance companies serve only one master... the policyholder. There are no outside shareholders to split profits with. No Wall Street. No quarterly earnings estimates. No conference calls. No insider trading. No takeovers. No message board gossip. No stock options. Think of mutual life insurance companies as cooperatives, or not-for-profit clubs. A bunch of people have come together and pooled their money to provide life insurance for themselves. Safety, stability, and good service are the only goals of the insurance company. Mutual insurance companies still generate profits. But these get distributed back to all of the members each year as dividends. We’ll get to dividends in a minute. You’re more likely to see stock insurance companies borrowing money, advertising, and using other aggressive growth strategies. They’ll invest in riskier assets to appease hedge funds or large shareholders with higher returns. They’re also more likely to fudge their quarterly earnings releases to make their results seem better. In sum, mutual insurance companies are one of the safest places on the planet to put your money and one of the highest-paying places too. The life insurance business started as a wager. On June 18, 1583, a London man named Richard Martin placed a bet with a group of merchants. The bet was on the life of another man, named William Gybbon. Martin put up 30 pounds. If Gybbon died within one year, Richard Martin would make 400 pounds. But if Gybbon did not die, Martin would lose his 30-pound stake. Gybbon died just before the end of the year. But the merchants refused to pay Richard Martin his winnings. So Martin took them to court. Term insurance is just a simple bet. It’s the policyholder betting against the insurance company. The policyholder is betting on a death, usually his own. And the insurance company is betting on survival. If the insured person dies in the allotted time or “term,” the policyholder wins the bet (and the beneficiary gets the money). If the insured survives, the insurance company wins the bet and the policyholder loses his stream of payments. Please note, buying term life insurance is a bet the policyholder expects to lose, but it’s still a bet. But he’s willing to take this bet. That’s because it’s cheap. And he can provide his family with financial protection if he dies. Today, term policies are the most popular type of insurance policy, representing just fewer than 40% of all life insurance premiums paid in America each year. (Today it’s most common to buy 10- or 20-year term policies). Here’s a fact that may shock you... Only 3% of the term insurance contracts conclude with a payout. What that means is the insurance company “wins” the bet 97% of the time! I want you to figure out how much a $1 million life insurance policy would cost on your life, valid for the next 10 years. It’s important you do this exercise, because it’ll give you a much clearer understanding of how our Income for Life strategy works. To do this, click on this link, enter your state, birthday, coverage amount ($1 million), term amount (10 years), if you smoke, your health class, and gender. Then click on the “Get Instant Quote” button. It’ll take you about 30 seconds. If you’re younger than 60 and in good health, a 10-year, $1 million life insurance policy will cost you $3,000 per year, or less than $30,000 for the 10 years. It’s cheap because it’s extremely unlikely you’ll die in the next 10 years (3% of the time) and highly likely the insurance company will win the bet (97% of the time). Early in the 19th century, insurance companies invented a new type of insurance policy. They called it permanent insurance. Permanent insurance is an insurance contract that remains in force until the insured dies. It has no term. It’s permanent. Because there is a 100% chance that the insured will die, permanent life insurance is NOT a gamble; it’s a certainty. You buy $1 million of permanent life insurance. As long as you don’t cancel the policy and you make your premium payments, the insurance company is going to pay out $1 million someday. To pay out $1 million when you die, the insurance company must accumulate at least $1 million while you’re living in order to make the payout and not go out of business. It accumulates this money by collecting premiums from you each year. These premiums build up over time, and they generate interest—which builds up and compounds too. By the time of your death, you’ve built up plenty of money at the insurance company so it can pay your policy off. To reinforce this point: In order for the insurance company to pay out your life insurance policy when you die, it must first accumulate this money while you’re alive. It does this by collecting premiums from you each year and investing them. When you boil permanent life insurance down to its basic cash flows, first you make a series of payments to the insurance company while you’re alive. The insurance company collects these payments, grows them, and then gives them back to you at the end of your life. In other words, permanent life insurance has almost nothing to do with life insurance. It’s a way while you’re alive to save money that you get back when you die. Do you see that? Permanent life insurance is a certain payment to you from the insurance company in the future. This money exists because you’ve saved it up—and the insurance company has grown it—over many years. In this way, permanent life insurance has nothing to do with life insurance. It’s about saving money. It’s a glorified bank savings account with a much higher interest rate. In contrast, term life insurance is a wager with the insurance company whether or not you’ll die in a given period. Term life insurance is not a vehicle for saving money. It’s a way to protect your family in case you die unexpectedly. As you can see, a permanent life insurance contract is really a strategy for saving up money over time so that the insurance company can pay out the full amount when you die. Here’s the beautiful part: While you’re accumulating money with the insurance company, your money earns interest. 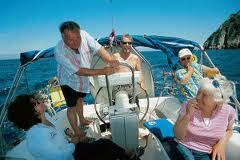 Due to special tax provisions for insurance companies, this return is tax-free. When you buy your policy through a mutual life insurance company, you become an owner of the company. 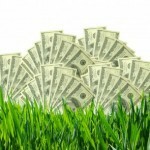 As an owner, you receive a share of the profits your company generates via a dividend. In fact, we studied eight companies that provide these policies, and they have now paid out, on average, for 121 years in a row. When I add it up right now, the money I have in Income for Life is generating a return of 5% per year, tax-free, after dividends and interest. If long-term interest rates rise, my dividend will rise too. I know you have one major objection to this plan. If you’re like me, you’re probably thinking: “Why would I put my money into an investment that pays only when I die?” This is a great question and the answer is very simple. The way permanent life insurance works is that you can use the money you’re accumulating at the life insurance company anytime you want. You can do this through something the experts call a “policy loan.” Not one in 100 people know this, but you can use your Income for Life policies to pay for just about anything. I’m using these policy loans to pay for all of my vacations, cars, houses, and medical expenses. I’ll also use these loans to finance any future investments I make in stocks, real estate, or small businesses. By running these expenses through my Income for Life policy, I’ll generate an enormous positive cash flow, and no one in my family will ever have to borrow money from a bank or financing firm again. I won’t get into the details of this strategy here. For now, all you need to know is that you can use the money you’ve saved anytime you want. You can do this with no penalty, and no fees, as if it were sitting in a bank account. And even while you’re using it, it keeps growing up to 5% per year. I’m certain complexity is the biggest reason people hate permanent life insurance. Insurance companies have sold permanent life insurance for centuries. But over the last three decades, they’ve made “innovations” to the original model. This has hurt its reputation. For example, today, insurance companies sell policies in which you can adjust how much money you get when you die. Or when you pay the premiums. You can buy policies that pay interest based on the stock market’s performance or the bond market’s performance. You may have heard of some of these innovations. They have names like universal life, variable life, equity indexed life, etc. In short, these innovations have introduced hundreds of variables into permanent life insurance policies. The customer can’t understand them. Most agents don’t understand them and most importantly, they have shifted the risk away from the insurance company and back to the policyholder. Plus, the complexity makes it easy for the insurance company to hide the fees and commissions it’s charging. Our Income for Life strategy uses the most ordinary type of permanent life insurance. It’s the Coca-Cola Classic of the insurance industry. Its design hasn’t changed in over 100 years. Here’s how it works: First, you agree with the insurance company how much money you want to receive when you die. Then you pay a minimum amount every year into your policy. They call these payments “premiums.” You agree to these amounts upfront with the insurance company. They never change. While you’re alive, these payments build up a cash value in your policy and you earn interest and dividends, tax-free, on this cash. Meanwhile, you can also use this money whenever you need it. That’s it. There are no fancy customizations and it has nothing to do with the stock market but it’s easy to understand. It’s tried and tested over two centuries and it comes with some of the lowest commissions of any permanent life insurance product on the market. In the industry, they call it “whole life insurance.” Whole life insurance is a common insurance product. You can buy it from almost any insurance agent in the country or around the world. Our Income for Life strategy uses a “participating” or “dividend-paying” whole life insurance policy. When you own a participating whole life insurance policy, you become a part owner of the insurance company. That means you’re entitled to a share of the profits. Profits come from two places, underwriting and investments. 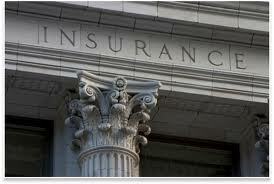 Now, most insurance companies have several lines of business. They’ll issue term policies. Or they’ll offer employee benefit programs that offer medical, dental, and disability insurance. They might issue auto policies. And most have retirement divisions that offer things such as 401(k)s, annuities, or long-term care solutions. If insurance companies underwrite and manage these programs the right way, they’ll pour money into the insurance companies’ coffers. And the only customers of the life insurance companies who share in the underwriting profits these multiple lines of businesses generate are the ones with “participating” whole life policies. The second way insurance companies generate profits is from their investing activities. Think of the hundreds of thousands of customers an insurance company has. All of these customers make annual, quarterly, or monthly payments to the insurance company for all of the policies they have. That means there’s a steady stream of cash pouring into the company each day. The insurance company won’t need to pay many of its claims immediately. It takes years, sometimes decades, for people to collect. 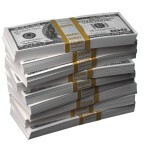 Instead of sitting on this cash, insurance companies conservatively invest and grow it. They know with exact precision when they’ll need the money to pay claims. At the end of each year, the insurance company tallies the profits from its investing and underwriting activities. It pays expenses and claims, then sets aside a little into a reserve account for extra safety. What happens to the rest of the profits? They’re dispersed to “participating” policyholders as a dividend each year. The top mutual insurance companies we recommend are so prudent at managing their investments and insurance businesses that they’ve managed to pay dividends to their participating policyholders for more than 100 years in a row. There’s one final twist we’ll add to a dividend-paying whole life insurance policy. This twist makes it different from any other type of life insurance policy, including most of the whole life policies the industry sells today. Call up your local life insurance agent. Ask him for a whole life insurance policy. He’ll sell you the life insurance coverage that comes with a savings component but we’ve established that Income for Life is NOT about the life insurance coverage. What do I mean by this? Most people think of life insurance as something you buy to protect your family in case you die. It’s a precaution. But our Income for Life strategy has nothing to do with estate planning, protection, or life insurance. It’s a program to save money and build wealth while you’re still living. We structure our whole life policy to emphasize the savings aspect and minimize the life insurance aspect. In the insurance industry, they’d say we were trying to “maximize the cash value of the policy and minimize the life insurance coverage.” We do this by stuffing as much money into our whole life policy as we can, as fast as possible, keeping our life insurance coverage as low as possible. For example, a typical term life insurance buyer might pay $1,000 per year for a $2 million policy. But we would prefer to pay $20,000 per year for a $500,000 whole life policy. This way, we get much more money earning interest and dividends in our policy, and we give much less money to the insurance company for life coverage. Do you see this? Most people want as MUCH life insurance coverage as possible by spending as LITTLE money as possible. With our Income for Life strategy, we want to get as LITTLE life insurance coverage as possible, by putting as MUCH money as possible into our policy. Income for Life uses a special tool to make this happen. It’s called a paid-up additions (PUA) rider. Most life insurance companies offer this rider. But few insurance agents know it exists. A PUA rider is a way to stuff as much money into your policy as legally possible. This way, you’re earning more interest and more dividends in your account, without increasing the amount you spend on life insurance protection. I’m not going to get into all of the details of the PUA rider just yet. For now, all you need to know is that the PUA rider changes an ordinary whole life insurance policy into a wealth-building machine. What do I mean by stuffing as much money in your policy as “legally possible?” Insurance policies confer enormous tax benefits. In the ’70s and ’80s, investors and corporations plowed billions into permanent life insurance policies to take advantage of the tax benefits. In 1986, the IRS clamped down. It set a limit on how much cash you could put into permanent life insurance. If you exceed this limit, your life insurance policy turns into what the IRS calls a “modified endowment contract,” or “MEC,” for short and it won’t qualify for the tax benefits. 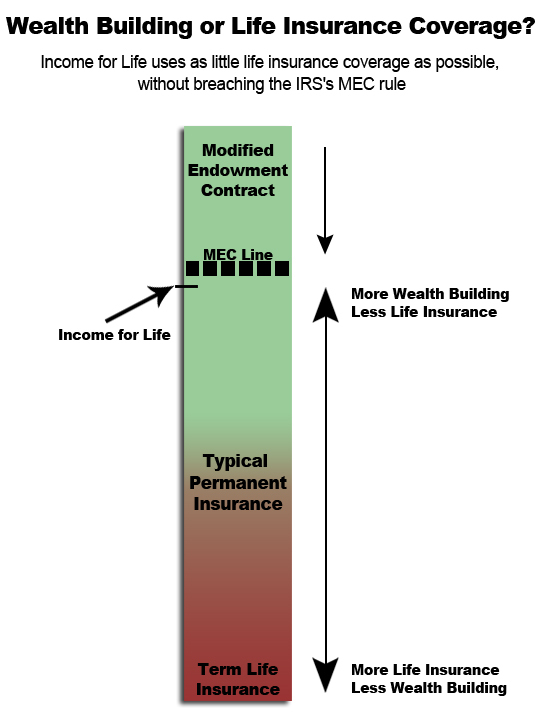 This illustration below shows the relationships of insurance types to this MEC line. At the bottom of the chart, you have term insurance. It offers just insurance, and it’s the cheapest. There is no savings component with term insurance. At the top of the scale, you have insurance policies that offer 100% savings with the least amount of life insurance. These are modified endowment contracts, or MECs. In between, you have other types of permanent life insurance. The thick dotted line shows where an insurance policy turns into an MEC and loses its tax benefits (tax-free growth). Income for Life uses a participating/dividend-paying whole life insurance policy from a mutual insurance company. We use a PUA rider to put as much money into our whole life policy as we can WITHOUT crossing the MEC line. The fact that the government limits how much money you can put into your insurance policy should show you how powerful this strategy is. This investigator was a licensed life insurance agent, so he was already familiar with the industry. Plus, he’d read all of the books on Income for Life, he’d attended both major Income for Life conferences, he knew more than a dozen of the top Income for Life experts, and he’d spoken with dozens of Income for Life customers. He’d also taken out several Income for Life policies on himself and his family members. 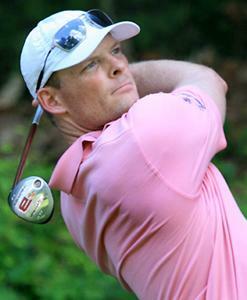 Our investigator’s name is Tim Mittelstaedt. Tim and I chose three Income for Life experts. Among them, they have hundreds of clients. They’ve set up thousands of Income for Life policies. And they have more than 53 years of combined experience in this industry. Most importantly, all three experts put their own money... lots of it into Income for Life policies. In our opinion, these are the three top Income for Life experts in the country. To open an Income for Life policy, the first thing you must do is contact one of our recommended Income for Life experts. As with any recommendation we make, we don’t receive any commission, fee, kickback, or compensation of any kind for recommending these experts.. We know them, we like them, and we trust them. And we recommend them to you, because they understand how to set up and use our Income for Life strategy better than anyone else. It’s as simple as that. Patrick is my personal life insurance expert. He’s set up six policies for me so far. Patrick is also our resident expert. He’s helped us understand Income for Life and contributed to this report. He formed his company, Paradigm Life, in 2007. His business is doing so well that his firm now employs seven life insurance agents. Patrick owns 11 policies of his own. You can contact him at incomeforlife@paradigmlife.net. Kim Butler formed her company, Partners 4 Prosperity, in 1999. She employs four life insurance agents. Kim has worked with Robert Kiyosaki, author of the best-selling personal finance book of all time, Rich Dad, Poor Dad. You can also learn more about a book she wrote on life insurance at www.liveyourlifeinsurance.com. Kim has 29 of her own policies on herself and her family. You can contact her at hello@partners4prosperity.com. Becky formed her company, Rebecca Rice & Associates, in 2001. She employs 10 life insurance agents. Becky has 29 of her own policies for herself and her family. You can contact her at Rebecca@rebeccarice.net. Please keep these general tips in mind as you begin contacting our Income for Life experts. 1. Pick an expert you connect with. The government regulates the fees life insurance agents can charge you. So from a cost perspective, it doesn’t matter whom you choose. You’ll pay the same. You’ll have your Income for Life policy for the rest of your life. And you’re going to work with your agent for many years. It’s important that you like working with your agent. I advise you contact ALL three of our recommended experts and see whom you like the best. Spend as much time as you need to find out whom you want to pick as your expert. You are not under any obligation to do business with them. And they’ll be happy to answer all of your questions. 2. Contact these experts only if you’re interested in Income for Life. While these experts can set up every type of life insurance product, they specialize in Income for Life. If you’re looking for a term life insurance policy or an annuity, please do not bother calling these experts. When I invest in a new investment class I’m not familiar with, I start small. Then, when I’m satisfied that my investment is acting the way I expected it to, I add to my position. With Income for Life, my wife and I started with one small policy each. A year later, we took out four more—much larger—policies. There’s no financial cost to adding policies in this way and there are no flat fees or minimum amounts. Ninety-nine percent of life insurance agents in America have never heard of Income for Life. And they have no concept of using a dividend-paying whole life insurance policy as a vehicle for saving money. Please do not ask your local life insurance agent or a family friend to set up a whole life policy for you. Even if they have heard about Income for Life, they won’t set it up correctly. You’ll pay more in fees and you won’t enjoy the full benefits of this powerful strategy. Most importantly, setting up the policy is only the first step. Using your policy to finance your investments and expenses is the real benefit of this strategy. Your local insurance agent won’t be able to help you with this but our recommended experts will. They may even offer online tools to help you make the most of your policies. 5. Beware of life insurance agents claiming to be Income for Life experts. The Income for Life concept is exploding in popularity. In 2005, only five people attended the annual Income for Life industry conference. This year, there were more than 200 attendees. Over the last few years, all of our experts have reported at least a 10-fold increase in the number of phone calls they receive each week. Some untrained life insurance agents are trying to grow their businesses by claiming to be Income for Life experts. But they’re not Income for Life experts. They don’t understand the strategy. They don’t know how to set up Income for Life policies. It’s important that you don’t do business with these unqualified agents. The paid up additions (PUA) rider I told you about earlier is one way to tell if an agent is an expert in Income for Life. The PUA rider is an essential piece of the Income for Life strategy, but it reduces agent commissions by 60-70%. If an agent does NOT recommend a PUA rider, either he doesn’t know about Income for Life or he doesn’t want to cut his commissions by adding a PUA rider to your policy. If you’re still not sure the life insurance agent you are already dealing with is an Income for Life expert, ask ours. They know most Income for Life experts in the industry. They’ll be happy to verify the agent for you. 6. Don’t let all of the different names for Income for Life confuse you. We call this strategy “Income for Life.” But the most established name for this strategy is the “Infinite Banking Concept,” or “IBC,” for short. Income for Life and Infinite Banking are exactly the same. We had to come up with our own name because “Infinite Banking” is trademarked. There are other experts, authors, and newsletters recommending this strategy too. Each expert has their own name for the strategy. Names include “Bank on Yourself,” “Cashflow Banking,” “Bank of You,” and “Privatized Banking.” There may be small differences in the ways these experts design their policies. And some of these differences may weaken the strategy. We don’t endorse any of these other “experts.” If you’re already working with one of these experts—or considering it—and you want to make sure you’re doing the right thing, call our Income for Life experts. 7. How much money do you intend to put into Income for Life? You don’t need to have an exact number at this point. You may not have even made up your mind to start an Income for Life policy. But before you call one of our experts, please have a rough number in mind that could make sense for you. Why? Using this number, our experts will create an example policy for you. They call it a “policy illustration.” It’ll show you how your money will grow over time. And your expert can talk you through real-life examples of how you could use your Income for Life policy. 8. Raise your questions and concerns upfront. Do you have concerns that you are too old? Are you considering getting rid of your term insurance policy and putting the money into a whole life insurance policy? Do you want to use Income for Life policies to save for retirement, pay for your kids' college expenses, or finance your vehicles? Please raise these questions and concerns the first time you speak to our Income for Life experts. This way, they’ll be able to give you more focused advice and better service. 9. Be prepared for dozens of personal questions. Our Income for Life experts are going to ask you dozens of personal questions about your income, your savings, your health, and your family situation. They need this information to make sure Income for Life is right for you, and to figure out the best way to structure your policy. When you first contact our experts by email, you’ll be asked to fill out a financial questionnaire. I’m uncomfortable talking about these personal details, and you probably are too. But in order to set my policies up correctly, Patrick needed to understand my personal financial situation. 10. Be prepared to take a medical exam. Unless you’re insuring a newborn baby, you will need to take a medical exam. Think of the medical exam like a pre-approval for a mortgage. It won’t cost you any money. And it’s easy. The insurance company will send a nurse to your house at a time that’s convenient for you. The nurse will take urine and blood samples, your blood pressure, and some basic measurements. Then she’ll ask you questions about your health and your family’s medical history. My wife and I have had to do this each time we’ve set up a new policy. I had the nurse come at 6 a.m. so the exam wouldn’t interfere with my work schedule. Our Income for Life experts will receive thousands of inquiries as a result of this report. Please contact our experts by email instead of by phone. And please give them at least a week to get back to you from the date you write to them. Also, life insurance policies require lots of setup and customization and a fair bit of paperwork. Plus, there is a health exam and some other stuff you have to do. It can take up to a month to set up your policies. Sometimes longer. Income for Life is a lifelong strategy you’ll have in place for decades. There’s no rush. A few days or weeks won’t matter, in the big picture. Please be patient. Normally, my stock recommendations would appear under Market Conditions. However, this particular stock is not only a great pick but a serious dividend payer. That's why I have included it here. To retire rich, we need those compounded dividends to add up quickly. Since becoming a publicly traded company in 1998, it’s paid a dividend every year. Not only that, for the last five years, this company has grown its dividend at a rate of more than 20% per year. Then in March, it raised its dividend 46%. We’re adding this Relentless Dividend Raiser to our Performance Portfolio immediately. In 371 days, millions of soccer fans will descend on Brazil for the 2014 World Cup. These fans will need hotel rooms, souvenir T-shirts, bowls of feijoada and beer. Since 2003, Brazil has banned the sale of alcohol at sports venues. However, FIFA, soccer’s ruling body, has demanded that all 12 World Cup stadiums sell beer. Over the course of the 32-day tournament, 3.3 million ticketholders will be able to buy a brew. Most will buy more than just one. If you’re a Brazilian brewery, how do you ramp up production for millions of extra beer servings over this one-month period? You could construct new buildings and fill them with mash tuns, copper tanks, and tubing. That would be expensive and time consuming, and your work would go to waste as soon as the World Cup finished. You could try brewing beer ahead of time, but you’d have to buy extra vats or kegs to store it. Or you could do something simple. You could switch the ingredients you use. You see, there’s a secret in the beer industry. It’s a special ingredient that reduces the beer’s cooking time. It reduces the filtration time. And it eliminates the extra work that comes with using solid grains. By adding this one ingredient into the production process, brewers will be able to instantly increase production, without any decline in quality. It’s more expensive than the crushed grains brewers use when demand is low. But it allows brewers to use their equipment to maximum capacity when demand is high. The name of the additive is “high maltose.” It’s a derivative of corn. By adding it to the beer vat, it provides sugars that are easy and fast to ferment. This allows a brewery to increase the amount of beer it makes, which increases profits for the beer company. High maltose is an example of an important global commodity we call “agricultural additives” or “natural additives.” Agricultural additives are the byproducts of commodities such as corn, tapioca, wheat, potatoes, and cassava. When these natural products are milled, they produce byproducts such as starches, sugars, oils, and meals. When you add these agricultural additives to other products, they change the flavor and texture of those products. They extend shelf life. They provide gluten-free options for people with allergies. They keep oils from separating out of lotions. They help ink stick to paper. They even help save lives when IVs rehydrate people. You’d never even know these additives were part of the finished products. But they’re the building blocks for tens of thousands of products we use every day. Food manufacturers like Nestle, Unilever, or Kellogg’s use agricultural additives in baked goods and processed foods. These two categories have been on a steady climb for decades. In 1982, for example, they accounted for 25% of the dollars Americans spent on groceries. By 2012, that total had climbed to 37%, a 48% increase. Worldwide, sales of processed foods are approaching $4 trillion per year and nearly all of those foods use some kind of agricultural additives. Mankind has been using agricultural additives like these for years but as technology and consumer tastes have evolved, there’s been an almost “quantum leap” in the number of uses and applications for these agricultural additives. Global Industry Analysts is a global market research company that covers more than 180 major industries worldwide. 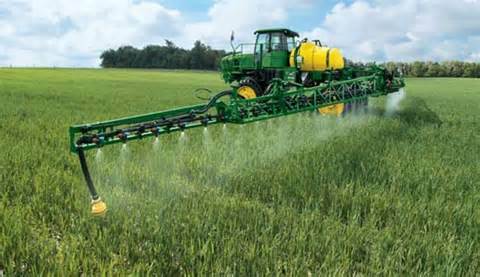 It estimates the compound annual growth rate for agricultural additives at 7% per year through 2018. This is twice the growth rate of the global economy as a whole. Today, we’re going to tell you about a small company that’s benefiting from the bull market in agricultural additives. It’s a producer of agricultural additives. If the research is correct, this company will grow its earnings at up to 10% per year for the next five years...a 60% increase in profits. Assuming valuations don’t change, we’ll be up 60% five years from now. Additionally, this company is cheap at current prices. As the investment community begins to pay attention to this trend, this company’s valuation should improve. We’ll make even more money. This company has been paying a dividend since it went public in 1998. In March, it raised its dividend 46%! The world is changing. Over the next 20 years, the United Nations Development Program expects 1.5 billion people to join the middle class in Asia alone. People who move up the economic ladder drive newer cars, live in bigger houses, and use more electricity. They also eat more processed foods, for variety and convenience. That means the demand for agricultural additives will explode in the years ahead. There’s another big trend that’s driving the boom in agricultural additives: Consumers in developed regions like Europe want healthier foods. Here, the focus is on specialty ingredients… Additives that increase nutrition or decrease calories. For example, in Europe, there is a new trend toward “clean labels.” This simply means using ingredient names on labels that people understand. The European Union regulates ingredient names. By treating starches with heat instead of enzymes, you can call an ingredient “starch.” Consumers in Europe understand this word. It doesn’t raise concerns about health or safety. The investing community is starting to take notice of the huge growth opportunity in agricultural additives because of these trends in Europe. Now, one of the first signs of a “hot” and growing industry is an increase in mergers. Food-processing companies just had their third straight year of merger increases. In 2012, they accounted for more than one-quarter of the food industry total. And food-processing companies are the No. 1 users of agricultural additives. With merger activity highlighting the growing trend toward processed food, it’s time to invest in the companies that supply them but companies that produce agricultural additives are hard to find. One is a large, privately owned business, named Cargill. Another, Archer Daniels Midland Co. (NYSE: ADM), has a market value of more than $20 billion. Agricultural additives are just a small part of its total business. There is one small company we’ve found to play this growing trend in agricultural additives. This company is Ingredion (NYSE: INGR), our profiled recommendation. Ingredion is a “pure-play” agricultural additives business. It has no transportation division, no farming business, or any other side businesses. It produces only agricultural additives in 40 countries around the world. It sells these additives to food processors and other companies around the world. They use these additives to make their products. Each culture has its own food preferences. Ingredion understands this. Local experts staff their factories and, in turn, sell the additives to local companies. It’s the only way to provide the exact products that each culture demands. For instance, Ingredion sells water-soluble soy isoflavones in South Korea. Cassava modified starch in Brazil. And in the U.S., a soluble calcium complex for fortifying products with the mineral. Ingredion also has a patented line of ingredients, called Novation, to capture the new “clean label” trend in Europe. Any company using Novation additives needs to list only “starch” on its ingredient label. Right now, there is such demand for this product in Europe that Ingredion is building new plants to expand production of the Novation line of additives. But the interest that started with European regulation is spreading to North America. The new plants Ingredion builds will provide sufficient volume to export Novation products to the U.S., boosting sales even more. There are other synergies between countries too. The processed tapioca popular in Thailand provides gluten-free alternatives in the U.S. Starches that reduce calories by replacing oil are finding acceptance in Mexico as concern over obesity increases. When Ingredion develops products for one country, it looks for larger worldwide trends. Selling those products in other countries increases the returns on its research and our profits. Ingredion is based in Chicago. It has a market cap of $5.1 billion and annual sales of $6.5 billion. Most importantly, it meets our criteria of safety. It’s recession resistant and has a conservative management team. First, Ingredion has been around a long time. It’s not a startup or some kind of speculative technology company. Ingredion started business more than 100 years ago as Corn Products Refining Co. Among its pioneering products were Argo Corn Starch in the famous yellow box and Karo Corn Syrup. In 2010, it acquired National Starch, which focused on specialty starches. With that addition, it became clear that Ingredion’s focus had become broader, encompassing a wide range of food additives. Corn Products Intl. changed its name to Ingredion. Ingredion’s business is recession proof. The products it sells are critical to the food-processing industry. If consumers economize by buying a store brand of soda or shampoo instead of a name-brand one, it doesn’t matter to Ingredion. Its additives are necessary in expensive and cheap brands alike. As a pure play, Ingredion’s business focuses on one type of product: agricultural additives. But that doesn’t mean it isn’t diversified. Right now, only 30% of its sales come from the U.S. Mexico is another 17%. It is the largest refiner of corn-based starches and sweeteners in South America, beating out giants like Archer Daniels Midland and Cargill. Asia is a small but growing segment too. This means Ingredion doesn’t depend on economic growth in any one area of the world. Not only are Ingredion’s sales diverse geographically, they also sell products to a wide range of industries. Food is a hefty 44% of its sales, but that reflects a diversity of products, from fiber that aids digestion to the more traditional starches that create the right viscosity in dressings. Beverages, including beer brewing, provide another 24% of sales, and paper products 9%. Byproducts sold as animal feed are 12% of sales. Ingredion’s diversification makes it resistant to changes or downturns in any given area. There’s one more reason Ingredion is safe. 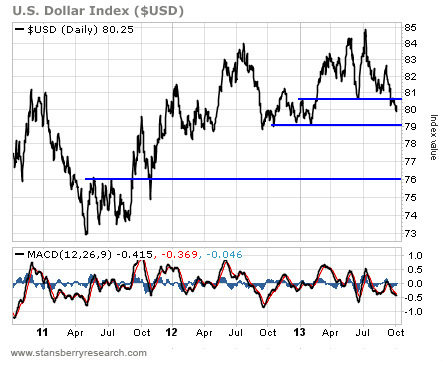 Its responsible management team hedges commodity risk...Commodity prices. That is the Achilles’ heel of any company using large amounts of a natural commodity, as Ingredion does. Commodity prices can swing up and down, resulting in huge effects on costs… and therefore profits. Ingredion tackles the commodity beast in two ways. In North America, most companies sign one-year contracts for agricultural additives. When managers sign a contract, Ingredion requires them to buy the commodities they’ll need to fulfill that contract. In some cases, they simply buy and store the commodities they’ll need. With many commodities, especially corn, that simply isn’t practical. Instead, the managers will hedge the commodity. That simply means they pay someone, an investor, to guarantee the price. It will cost Ingredion a few percent of the total cost to buy that insurance but it’s already included that cost in its prices. It won’t matter if the cost of corn goes up, down, or stays steady. That other investor has taken on the risk and rewards of owning the corn. Outside North America, three-month contracts are the norm. That means if the cost of a commodity—tapioca or corn, for example—starts rising in price, Ingredion will raise its prices in the next contract. Because Ingredion has additives that companies need to produce their own products, it is usually able to pass along higher costs. Occasionally, companies balk at higher prices. In that case, Ingredion can walk away from the deal. It may lose that sale, but it’s not forced to sell products at a loss because of a long-term contract. By keeping its commodity costs steady, Ingredion’s profits and cash flows will be steady. That allows Ingredion to commit to paying dividends, paying down debt, and building new plants to grow its business. Ingredion’s recession-resistant products and conservative management team provide a strong measure of safety. The steady growth it’s experienced over the last 10 years proves the durability of its business plan. It’s also cheap, which gives investors a margin of safety too. Valuing Ingredion isn’t as easy as with many companies in our Performance Portfolio. Most of its closest competitors are privately owned. There are no P/Es or price-to-cash flow numbers to compare to, because there is no public price for these companies. Archer Daniels Midland is a much larger, more diverse food company but it operates in the same industry. Ingredion currently sells at a P/E ratio of 12. Archer Daniels Midland sells at a P/E of 17. And the processed and packaged foods industry as a whole is selling at a P/E of 21. For a well-managed, focused company, Ingredion is cheap. Ingredion also sells at eight times its operating cash flow. That’s low. Once we take out the cash it will use for new equipment, we’re left with free cash flow, the money Ingredion has left to reward shareholders. Right now, Ingredion sells at 13 times free cash flow. This is still cheap and ensures that Ingredion will be able to pay its dividend and grow earnings per share through acquisitions or share buybacks. Producing agricultural additives as Ingredion does requires extensive machinery. It’s a capital-intensive industry. Many companies think only about growing sales. Ingredion makes sure that when it grows, new investments it makes will pay for themselves, with some left over for shareholders. If it finds a good company to buy at a reasonable price, it will do that. If it sees a growth opportunity like the Novation clean label products, it will build new plants. Ingredion’s management team practices discipline when it comes to rewarding shareholders. Since becoming a publicly traded company in 1998, Ingredion has paid a dividend every year. Over that time, it has grown dividends at a compound rate of more than 20% per year. It doesn’t raise its dividend every year. Some years, when there’s a lot of uncertainty (like during the financial crisis), Ingredion will be cautious and wait to raise its dividend. Other years, when it sees a big opportunity for growth, it will use that cash for an acquisition. Since it started paying dividends in 1998, it has raised its dividend 12 times. Most recently, in March, Ingredion raised its dividend 46%. Even with this huge increase, Ingredion’s dividend payout ratio is low, 26% of expected earnings in 2013. That means it has plenty of room left to keep increasing dividends. All of these factors qualifies it for our Relentless Dividend Raisers Portfolio. Since Ingredion went public in 1998, it’s grown its earnings per share at a rate of 17% each year. That’s a huge amount of growth during the last 14 years. With the bull market in these agricultural additives, this level of growth could continue. But we’re going to be conservative and assume that Ingredion grows its future earnings per share at 10% per year for the next five years. Assuming valuations don’t change, its share price will grow at 10% per year right along with its earnings. We’ll make 60% total returns over the next five years. And we’ll get a 2% rising annual dividend as an added bonus. Action to take: Buy Ingredion (NYSE: INGR) up to $72 with a 25% trailing stop.